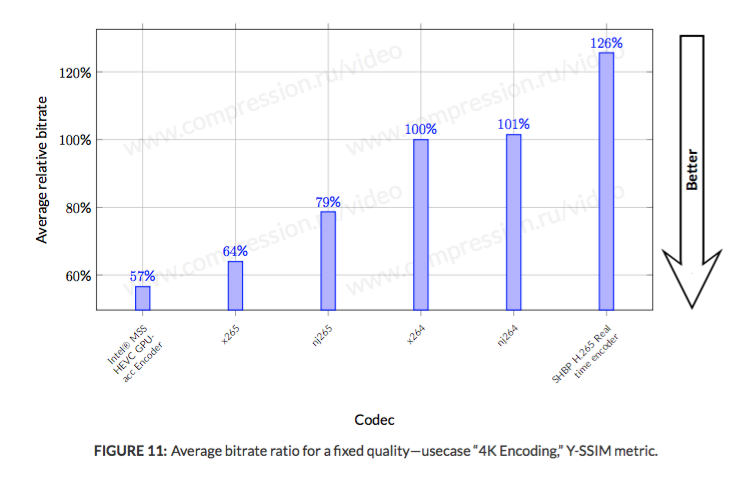 Moscow State University's Graphics and Media Lab Video Group have published the latest in their series of independent experimental comparisons of video compression codecs. This new report compares the performance of selected HEVC/H.265 and AVC/H.264 codecs for Ultra High Definition or 4K video content. HEVC is arguably well-suited to handling the high spatial resolution of UHD (around 4000 x 2000 pixels per frame, four times as many pixels as full HD), with coding features such as 64x64 pixel Coding Tree Units, much larger than H.264's 16x16 pixel macroblocks. Here's a sample graph from the MSU report, comparing the performance of six codecs, compressing and decompressing the Dirt Trail clip. Good performance is characterised by high quality (the vertical axis) at lower bitrates (the horizontal axis), i.e. "up and left" is generally better than "down and right". 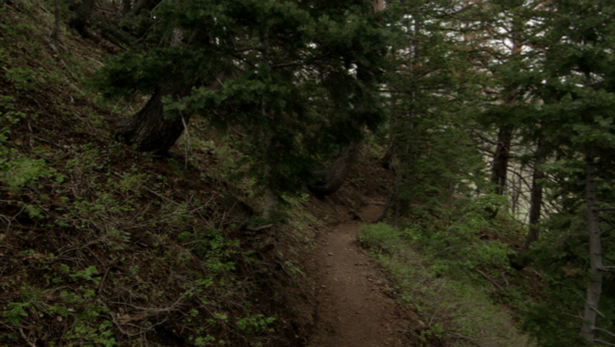 Three HEVC/H.265 codecs (x265, nj265 and Intel MSS) are consistently the best performers for this particular clip. Overall, the MSU group put Intel's MSS codec out in front, followed closely by the open-source x265. 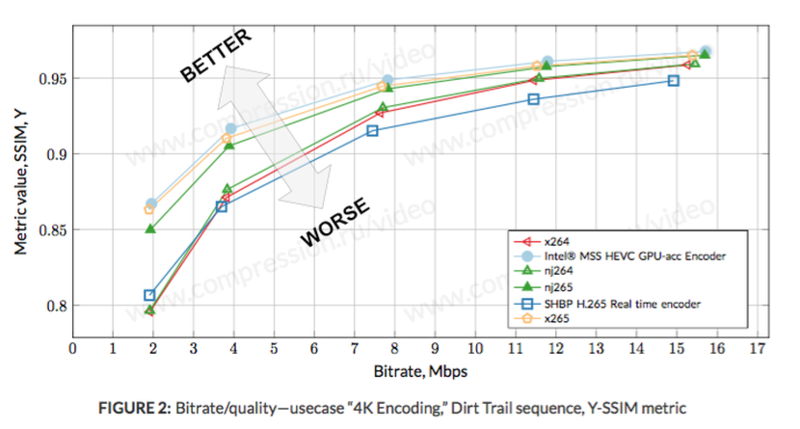 Their results show bitrate savings of around 43% and 36% respectively compared with the x264 open-source H.264 codec. Interestingly, the gap between HEVC and H.264 is much wider for Ultra High Definition content than for MSU's previous tests on High Definition video clips, which placed the best HEVC codecs only a few percentage points ahead of x264. This implies that HEVC really does come into its own for higher-resolution video compression. Graphs and results used with permission, courtesy of MSU Graphics and Media Lab Video Group.